Increasing online impact and creating a new digital strategy in line with an updated company vision and strategic business plan. In the summer of 2012, Frank Colton asked us to help increase their online impact and devise a new digital strategy in line with Agetek’s updated company vision and strategic business plan. With the assistance of the Enterprise Ireland Internet Marketing Initiative, emarkable undertook the task of developing a comprehensive digital marketing strategy for Agetek. We developed a 12 month programme for emarkable in conjunction with Agetek to define the business and digital strategy’s cornerstones, set the ball rolling on each task, and train Agetek’s own team to take over marketing duties in the future. As usual, when you first look under the hood of a large business, we had to start with some big questions regarding Agetek’s business strategy. To answer them, we undertook an in–depth analysis of their web presence, target market, and the overall brand positioning. Kitchens, bedroom furniture and office furniture have all taken a significant decrease in demand with the economic woes of the country. 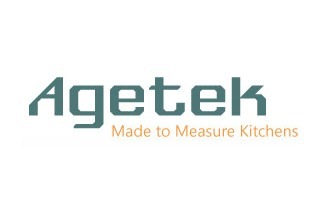 Agetek no longer just sold kitchen doors but were successfully supplying a range of kitchen components nationwide. Agetek sells to trade clients, mostly trade professionals. Trade professionals that wanted a full supply service. Here was the marketing challenge: Grow the existing professional trade market but also attract the end user customer to create a pull effect for their products. To successfully manage the B2B and B2C conflict Agetek’s management team needed a focus and a clarity of purpose. Agetek needed to identify and research the opportunities that are available and position their business model for the opportunities that would lead to a sustainable business advantage. 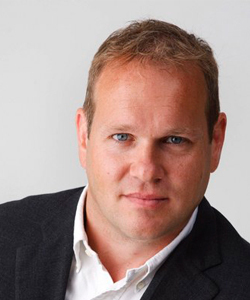 Emarkable had to develop a digital marketing model to complement this new business model. The realigned positioning and subsequently the new website needed to showcase all their products that would also attract end users as well as their core clientele, the trade professional. The site was also to be an online showroom that their trade customers could use to help with their designs and in turn a reference point for their customers. In short the site needed to feel like a consumer site. But the key message needed to be about the trade professional. Trade contacts were still the primary audience. While the new site would attract end users they saw this as a win for their loyal and experienced trade customers as Agetek would use them to fulfill any consumer orders that would be placed directly. The consumer site would be the online brochure for Agetek’s trade customer to use as a selling tool. Agetek has an existing furnished 10,000-square-foot showroom where their trade partners would bring their customers. Now, this would also be made available to the general public also. To ensure that the site would work for the end consumer, a lot of research and thought was done to develop the persona of Mrs Brown – the ideal customer. She was also invaluable in unifying the two strands of marketing – to customers and to trade – thus keeping the promotional effort in focus. We carried out a full competitor analysis and implemented it into the site’s development, keyword definition, and SEO plan. We made it a point to showcase the full product range and demonstrate there is more to Agetek than just doors, the previous focus of agetek.ie. The site now includes a weekly blog and a trade section for customers to make inquiries and send orders 24/7. General public (Mrs Brown) involved weekly blogs and social media activities, where Facebook and Pintrest proved most effective. Trade Professionals were targeted mostly by establishing regular contact outside of the routine orders and bills. We created an ezine, and the first issue highlighted the website’s relaunch. The next couple focused on what’s new and showcased some of the lesser known product lines to emphasise Agetek’s variety of quality offerings. Such ezine entries generated the most clicks. With average open rates of 60% and click-through rates of 30%, email proved an excellent way to nurture an already engaged audience. Agetek also developed agetek.co.uk to focus on export sales. As with the focus in Ireland is with trade professionals, the focus in the UK is B2B and not to the consumer. The campaign has already led to a substantial contract with a large wardrobe manufacturer who has developed a niche product line with Agetek. Other opportunities have arisen as a result of being seen online and while some are more profitable than others the experience and contacts are allowing Agetek carve a niche in a market that heretofore seemed to be impossible to enter. The UK market is the newest chapter in the development and growth of Agetek’s business. After a thorough training, Jacinta Colton, Marketing Manager, from Agetek can now keep a close eye on the numbers, through Google Analytics, email marketing and social monitoring tools. We also provided a fully defined training manual for site updates, social updates, blogs, and ezines. This complements the monthly onsite optimisation we continue providing. With emarkable’s help, over the past 12 months Agetek developed a new digital plan, defined their positioning and targeting for the UK and Irish market, and developed a successful editorial calendar. The efforts came to fruition, showing increased rates of web traffic (34% year on year) and an increase in enquires (20%). As their customers enjoy a better understanding of Agetek’s offerings, sales have also increased. The next 12 months look bright for Agetek. While we have developed a solid foundation and while they are now fully capable of managing their digital presence on their own, we continue our great working relationship. Thanks to Frank, Adrian, and Jacinta for being a great team to work with!